Acupuncture For Dogs - How Holistic Veterinarians use Canine Acupuncture to help relieve many pet health conditions. 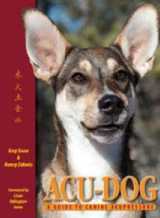 Acupuncture for dogs has evolved from an ancient therapy used to treat various health conditions. The origin of acupuncture, also known as stylostixis, is a subject for debate, but many would agree that its roots lie in China where it has been practised for centuries along with other oriental health therapies. The treatment involves piercing the skin with fine needles at specific points of the body, known as meridians, in order to relieve pain, initiate a healing cascade, or to restore balance between the body's energy pathways. Meridian pathways, which were discovered and mapped out a very long time ago, connect to every part of a pet's body and cross many points that can be stimulated for healing purposes. This type of intervention has been helping animals for thousands of years. In fact, historians have found evidence that Indians would treat elephants with acupuncture over 3000 years ago! Although this type of alternative healing is an ancient art, it was not until the 20th century that it started to gain acceptance as a veterinary treatment for dogs. Nowadays, while it is one of many holistic drug-free therapies for dogs, it is often used in conjunction with conventional veterinary protocols. Depending on the severity of the arthritis, the number of needles placed and the individual treatment time, is variable, but can take up to 20 minutes. Likewise, the number of sessions a pet receives per week could be 2 to 3 at the start and then be adjusted according to the outcome. Even though some pets will have a noticeable response after the first treatment, others will need to have sessions for a few weeks before positive results are seen. In general, the effects from each treatment will usually last a few days and some dogs will have weekly sessions. Before beginning treatments for arthritis, talk to your veterinarian about any medications your dog is taking to help the pain. Not all dogs taking steroids are good candidates for canine acupuncture so it is important to keep your doctor informed. As dogs get older, arthritis can be debilitating and the use of acupuncture can help to keep your pet comfortable, improving the quality of life your dog has. Epilepsy in dogs is traditionally treated medically usually with Phenobarbital, but the use of medications may not always be enough. Canines with Epilepsy also have the option of trying acupuncture. Gold bead implants are a form of permanent acupuncture that can greatly decrease the frequency of seizures. It has been shown that some of the pets receiving gold bead implants will not only quit having seizures but will also be able to discontinue medications as well. Those pets that continue medications will usually be on reduced doses. Of course, not every dog will benefit from gold bead implants, but many dogs will begin living seizure free lives as a result of this treatment. Acupuncture is also used in surgery to lessen bleeding and can help maintain a steady depth of anesthesia. Not all treatments will work in every dog and not every dog is a good candidate for acupuncture. The first step is to talk to your veterinarian about what treatments are right for your pet. Dogs with anxiety issues can benefit greatly from acupuncture. An anxious dog can become destructive and aggressive so finding drug-free ways to calm your pet can be very important. Most holistic veterinarians offices are set up to create a relaxing environment for your pet's visit. They also usually schedule fewer clients coming in at one time, resulting in a less stressful waiting room. The use of aromatherapy together with pet music is often used to further induce calming feelings as your dog enters the office. Owners are encouraged to remain with their dogs during the treatments, usually lasting about 10-15 minutes, in order to reduce any separation anxiety that may occur if the owner stays in the waiting area. The calming effects of one session can last from days to weeks and will usually improve with each treatment. Quite a few dog health problems are treatable with alternative holistic remedies such as acupuncture, but some will need a vet's mainstream approach, or a combination of both. 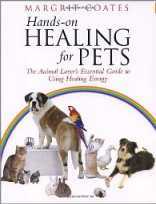 The important thing is to learn about the available options so that you can select the best remedy for your pet! When you are considering acupuncture for your dog, it is important to consult with a veterinarian that has experience in this procedure and discuss problems you would like addressed. And also the outcomes you expect! If you are meeting with a new pet specialist, don't forget to take along your pet's medical history as well as any medications your dog is currently taking that may have a bearing on treatment options. This information will help the vet select a treatment that is best for your pet and can also help you to understand what you can and should expect after each treatment session. Today acupuncture, as well as acupressure, are quite common interventions and have been used to help a variety of conditions in addition to those mentioned above, including hip dysplasia, tendonitis, deafness, urinary problems and asthma to name a few. More recently, it has also played a complementary role in addressing canine cancer. 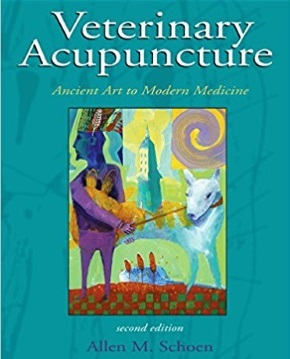 Thousands of years of acupuncture history has been written about the benefits of this ancient art and thanks to holistic veterinarians, thousands more years will be written. We recommend every dog owner select both a mainstream vet as well as one that practices holistic pet medicine, before getting a dog. Here are sources for finding a vet, as well as finding out if their services include acupuncture for dogs: the American Animal Hospital Association (AAHA) aahanet.org, and The American Holistic Veterinary Medical Association ahvma.org. Some vets are well-versed in both approaches which is reassuring when you need advice on important dog health problems.